Last week was the release of Book Two of Amy McNulty’s Blood, Bloom, & Water series, Salt & Venom, and we’ve already got the next cover ready for you to see! 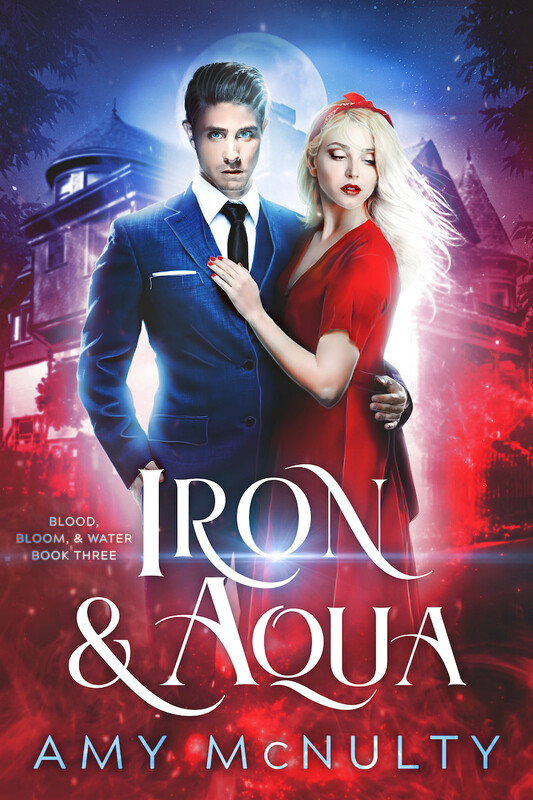 The third book in the series, Iron & Aqua, releases in Spring 2019. As with the other books in the series, this cover was designed by Najla Qamber Designs. Ready to see it? Sylvia here! What do you think of the cover? I find it haunting, perfect for the season!